In fact, Boulder is home to the famous Celestial Seasonings plant, where you can see the tea being made. 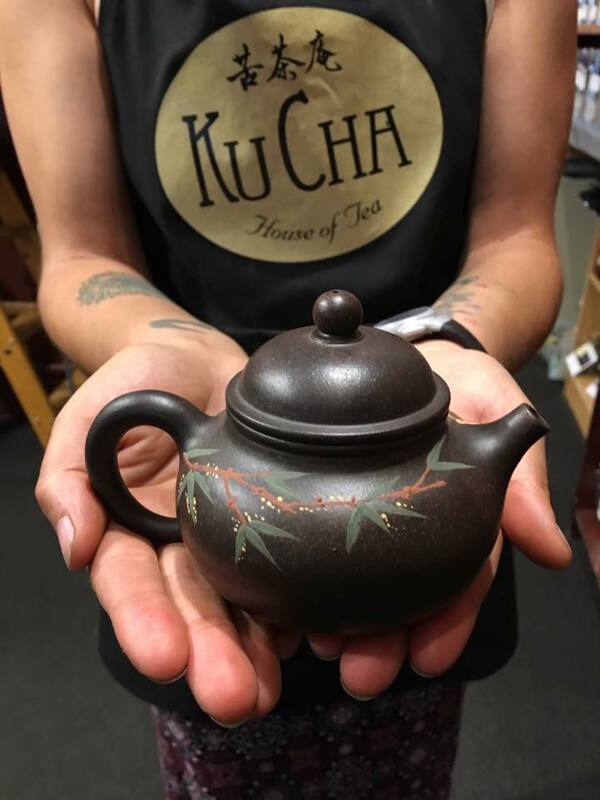 Boulder has a handful of other tea shops, too, including The Tea Spot and Pekoe Sip House. 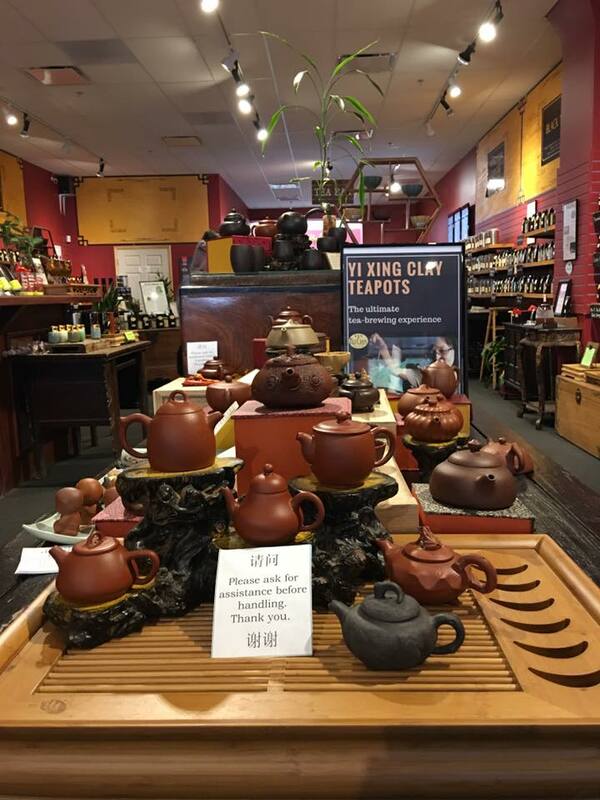 While Boulder doesn’t boast as many tea houses as coffee shops (approximately 198 million), the options are more impressive than most cities this size. And two of those destinations are right in downtown: the Dushanbe Teahouse and Ku Cha House of Tea. While these two spots are a short walk from each other and they both serve tea, they’re really quite different. 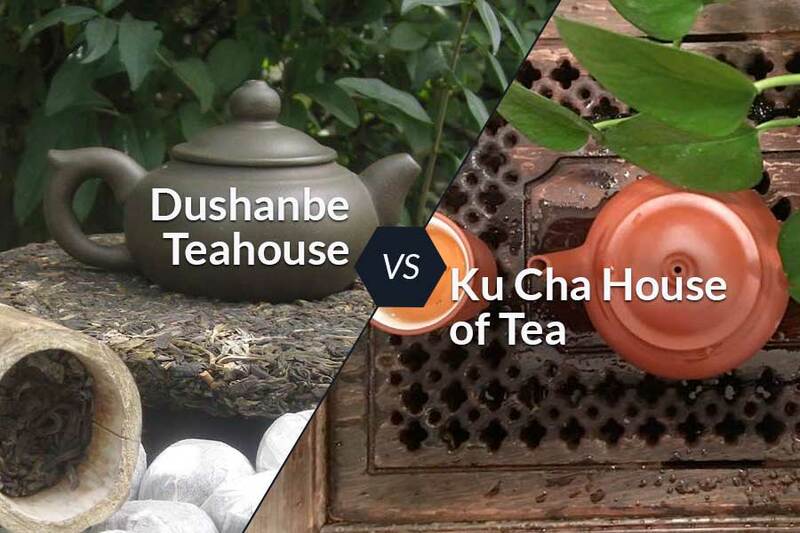 Here’s a closer look at the Dushanbe Teahouse and Ku Cha and what makes them unique. 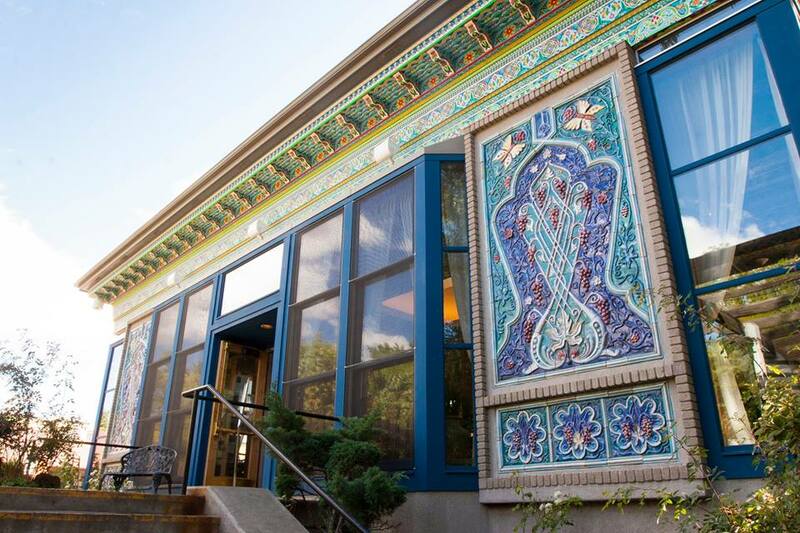 The Boulder Dushanbe Teahouse is one of the most famous and popular attractions in Boulder. You can’t miss it. 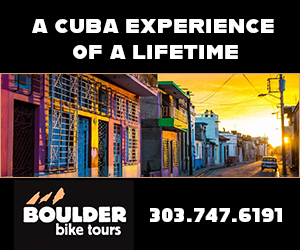 It’s located across the street from Central Park near the Boulder Creek, and it’s the brightest, most stunning building in Boulder (maybe in Colorado). The tea house was a gift to Boulder by its sister city Dushanbe, in Tajikistan (in Central Asia). It was built in Tajikistan by more than 40 artists, disassembled and then sent to Boulder, where it was put back together. The building was built entirely by hand using ancient techniques and no power tools. The building features elaborate, handcrafted Persian-style details and a dramatic, hand-carved and painted ceiling, all surrounded by a colorful flower garden. What makes it unique: This building is a symbol of peace and worldly connection. The building itself is like nothing else in Colorado. Each tile was hand-painted, so while you are having tea, you are also sitting inside a work of art. While tea is the spotlight here, the Dushanbe Teahouse is also a full farm-to-table restaurant with one of the most scrumptious menus in Boulder. It has won many awards. 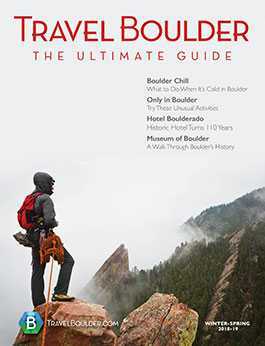 In 2016 alone, it was named the Best Teahouse, the Best Restaurant Ambiance and the Best Place to go on a First Date by the Boulder Weekly. The Denver A-List named it the second-best teahouse. Offerings: The teahouse has an extensive tea list, as well as menus for breakfast, brunch, lunch, dinner, dessert and tea time. It also is involved with the Rocky Mountain Tea Festival (featuring speakers, industry leaders, seminars, tastings and more), children’s tea parties, parties, catering, workshops (like Exploring Puerh Tea), specialty menus (vegan, ethnic, vegetarian) and special tea services (like dim sum and oolong afternoon tea). Atmosphere: This is where the Dushanbe Teahouse shines. You can sit at a regular table or a low table on cushions, inside by the fountain or outside in the garden by the creek. Now look around. You’ll find 12 carved columns, none like the other. Look closer at the fountain. It sits in a pool, featuring seven copper sculptures based on the poem “The Seven Beauties.” Also take time to look at the oil paintings, a blend of Soviet art with ancient Persian expressions. Outside, you will see eight ceramic panels, telling the story of a Tree of Life. Try this: The chai is the most popular tea and the spicy Indonesian peanut noodles (rice noodles in a spicy peanut sauce served with various veggies and peppers) is the most popular dish, staff says. Another yummy option for dinner is the Tajik (lamb) shish kabobs. For tea time, try the Indian samosas: a fried pastry of potatoes, onions and peas. If you want something a little wilder than tea, try an afternoon cocktail with a tea twist, like the sparkling hibiscus: Segura cava and hibiscus tea. A traditional afternoon tea (with white linens, a tower of pastries, cakes and finger foods) is a great way to experience the teahouse. Whereas the Dushanbe Teahouse is a little more mixed (a bit Persian, a little Soviet, with an English tea time and other culinary influences), Ku Cha is a traditional Chinese tea house. 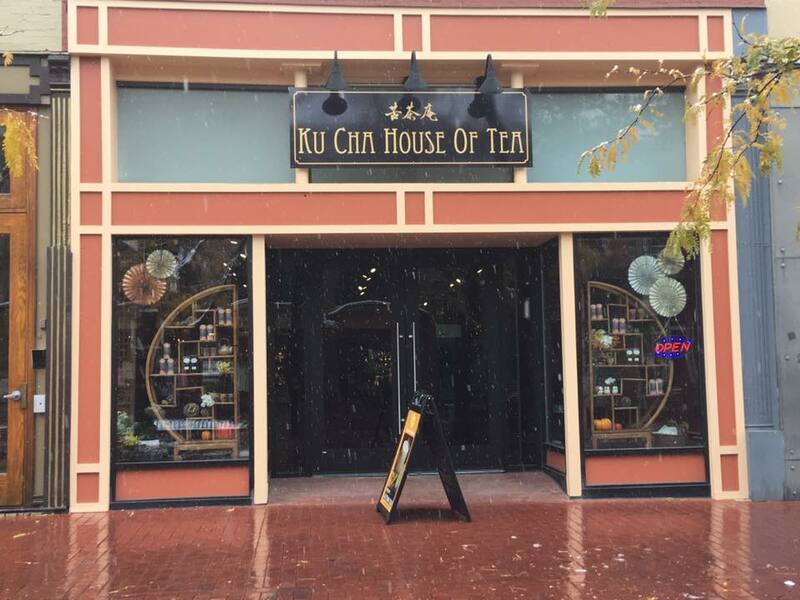 Ku Cha is located directly on the Pearl Street Mall. At first glance when you walk in, you might think it is only a tea shop — and quite the shop it is. It features more than 170 premium loose-leaf teas from around the world. But head to the back and you’ll find a surprising sanctuary amid the bustle of the mall: a quiet tea room where you can retreat and sip. Ku Cha opened in 2005. Offerings: Buy just about any kind of tea here (green, black, white, red, blends, you name it), as well as all the necessary paraphernalia: tea cups, pots, books, sweeteners, tea tasting clubs, snacks, gifts. 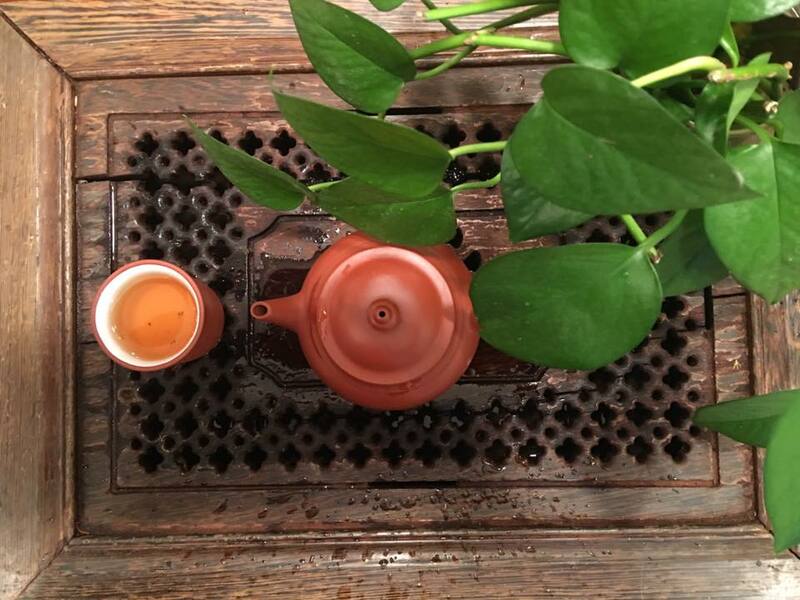 Ku Cha also offers traditional tea services, including Gong Fu services. Ku Cha has events like open mics, and classes. It also serves boba (bubble) tea. This tea is high quality. You don’t go here for a cheap, quick drink. Go here for the full experience. Atmosphere: You’ll feel like you have stepped into a small Chinese haven in the heart of Boulder. Even the shop in the front of the building is calming. You’ll typically find tea samples to taste as you browse the wall-to-wall shelves of tea. The tea room in the back has a relaxing, creative feeling. Behind the divider, there are a few tables; it’s a small dim (naturally lit) and intimate space, unlike the Dushanbe Teahouse, which is bright and airy, can be packed and is much bigger, so it contains a lot of energy. At Ku Cha, you will sit on pillows around the low tables. There are also some regular tables. Leave your shoes at the entrance. Look up, and you will see skylights on the ceiling. Around the space, you will find a small water feature and a ton of plants. The food menu here is modest. Mostly just snacks (like mochi, Chinese almond cakes, tea wafers), as the tea is the star of the show. 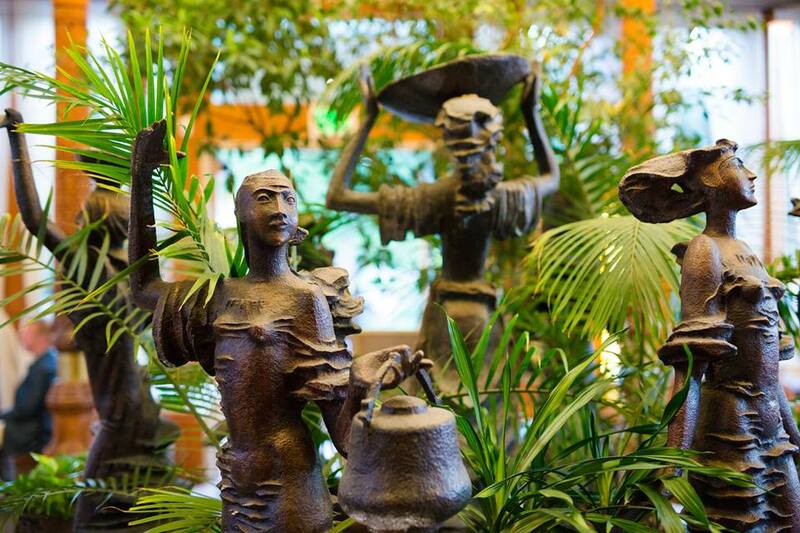 Ku Cha is known for being authentic and preserving the Chinese tea culture. Try this: One of the coolest features here is the Blend Your Own Tea bar. Consult the chart that shares the benefits of different types of teas (like “digestion aid” or “immunity” or “calming”) and make a blend based on what you want to accomplish. 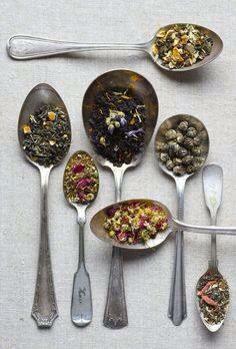 “We provide a small sample jar of each one of the teas. Customers cannot only see the teas, but also be able to open the jar and smell them. Definitely smell all the tea samples. 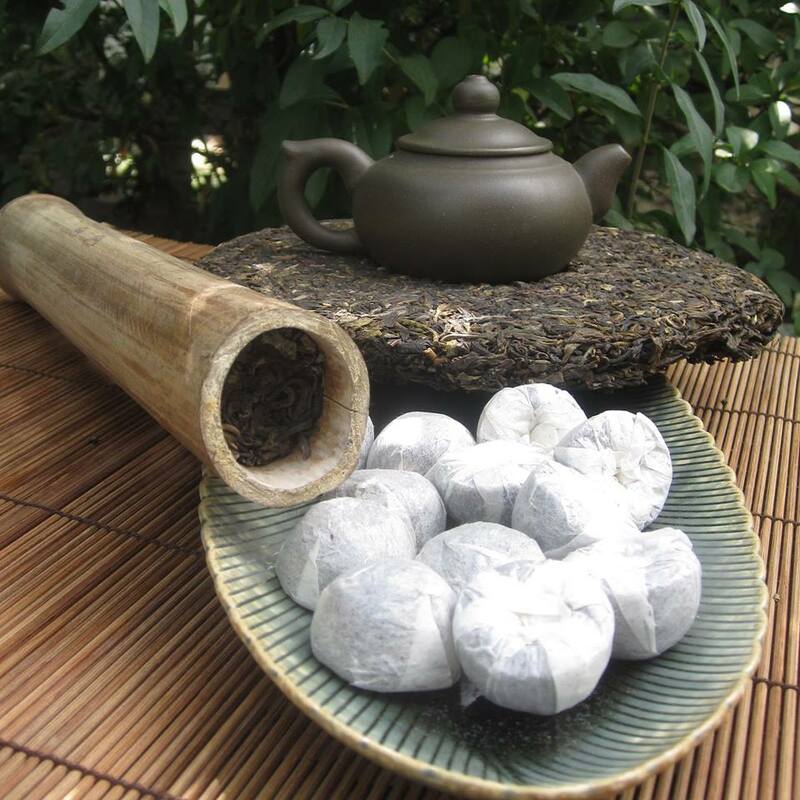 If customers have time, make sure to order a set of Gong Fu Tea to enjoy at our traditional tea room,” says Liu. A top staff pick is the vanilla rooibos tea, a great dessert tea that’s caffeine free.